Even though it was an uncomfortable scene to watch, at least ABC is mixing things up on the long running Bachelor reality TV show. For the first time in the long history of the show all the rules were broken when a former bachelor returned for a second chance. There were some odd happenings. For example, the thirty Bachelorettes who arrived in their traditional limos all claimed to not know who the actual bachelor was. That seemed strange to me since in previous seasons both the bachelors and the bachelorettes seemed to know who they were going to be potentially meeting and dating. 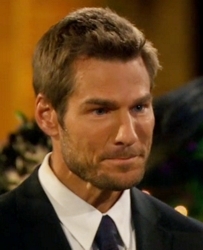 Was there secrecy because the producers were worried they couldn’t recruit enough bachelorettes if the women knew if was Brad Womack who didn’t choose either Deanna Pappas or Jenni Croft? Or did they really know but it was scripted for them to act shocked and surprised. Another first was having dumped bachelorettes Deanna Pappas and Janni Croft confront Brad on camera in front of Chris Harrison. Brad spent a lot of time apologizing to just about everyone he talked to on the first part of the premiere episode. Then he had a sit down with Deanna and Jenni. The newly married Jenni and the engaged Pappas (Stephen Stagliano) expressed concerns about whether Womack would leave two more girls in emotional tatters. After was ceremoniously being slapped in the face by Bachelorette Chantal, things got marginally better for Womack when he gave Southern charmer Ashley the first impression rose. 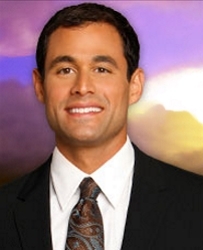 Does Womack actually find love on his second round of The Bachelor? Reality Steve provides all the spoilers for the new season including whether he finds love or not and if he does, with what bachelorette. I will leave the details to Steve who has been so gracious to me with his time and insights about the Bachelor for the past two years. Meanwhile a lot of the Bachelorettes have scandalous secrets which are just now starting to come out. A tabloid recently claimed that Brad is still in love with a past lover who doesn’t return his affections. The tabloid claims if the woman gave Brad the nod he would be with her in a heartbeat. Not good news for the current crop of Bachelorettes. Or course time will only tell what happens. Who knows, maybe Brad, Jenni and Deanna will show up on the BachelorPad next summer where they can settle old scores. This entry was posted on Tuesday, January 4th, 2011 at 5:05 pm	and is filed under Celebrity Bites, Celebrity Gossip, Celebrity News, Celebrity News & Juice, News, Ramblings On Current News & Events, Reality TV, The Bachelor, The Bachelorette, TV's Picks & Pans. You can follow any responses to this entry through the RSS 2.0 feed. Both comments and pings are currently closed.